With more and more companies entering the Indian market every year, network marketers are aware that the Indian Tiger is awake and roaring. India has had a double-digit GDP growth for the past decade and will become the world's twelfth largest economy by 2025. Only China can claim a similar growth curve: in 2007 it was the twelfth largest consumer market and it is expected to be the fifth by 2025. India's population is 1.21 billion, second in the world only to China. And because it, unlike China, does not have any national birth control policy, it will overtake China as the biggest country population on earth. The unemployment rate in India is better than for most Western countries today. India's overall unemployment rate is 3.8 percent, with urban unemployment at 5.1 percent and rural at 3.5 percent. Unemployment is higher among women: 6.7 percent for women and 2.8 percent for men. This is because women are generally less educated than men. The middle class is growing fast and looking for opportunities to have additional sources of income. Along with India's economic growth come personal aspirations for more wealth, consumer goods, quality of life, travel, education, and personal development. The direct sales sector grew 60 percent from 2003 to 2010 and is currently growing at the rate of 20 percent per annum. While small businesses and person-to-person selling have always flourished in India, network marketing came into existence only in the mid-eighties. Ownership regulations have changed over the past decade, opening the doors for more multinational companies to enter the market. The very nature of India, from its population to its geography, makes it an excellent playground for network marketing and direct selling. Low-cost business opportunities with built-in support and training provide business education and personal development for people who otherwise would not have access to such opportunities. In the early days, the growth of the direct selling/network marketing sector was driven by U.S. companies that came to India as their next English-speaking market after the U.K and Australia, because of ease of entry due to language and similar laws and social connections of their distributors. The advent of seamless international sponsoring allows distributors in every country to maximize their contacts and develop income in as many countries as the company operates in. This works especially well in India, which has the biggest ex-pat community in the world. These ex-pats are typically well-educated, successful professionals who want to make a difference and help people back home. This provides Indian distributors with a good base of new distributors and can even boost their businesses in other countries, since Indians use their family and contacts overseas to sponsor internationally. In India, success in direct selling requires a combination of traditional belly-to-belly methods and technology. India is renowned for its early adoption of new technologies and is a technology supplier to most of the Western world. However, there are still a lot of people in India without access to technology, so older methods also need to be deployed. While the Indian market has already attracted many direct sellers, there is room for many more. The number of people looking for opportunities dwarfs the potential of all other markets, except perhaps China. 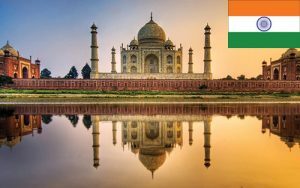 The process of entering the Indian market can be made simple if advisors are up to date with current legislation and connected to the right authorities. It doesn't need to be too expensive, if one takes a step-by-step, region-by-region approach. Experienced, honest, and reliable local management needs to be recruited. To avoid repeating others' mistakes, companies need to control distributors' pre-entry, as authorities and the media are in no mood for pre-activities and the company could find itself banned or name-damaged even before its launch. Be sure to adapt to social customs, as many have found after an expensive learning curve that cultural dictates are so ingrained it is impossible to go against them. Initially India was seen as difficult to enter due to perceived costs, laws on business structures, corruption, local manufacture requirements, and difficulty of physical distribution. Today it has become a top choice for international expansion due to its market size, economic growth, and sheer potential of becoming the biggest consumer market in the world. Because Ponzi schemes have taken hundreds of millions of dollars from gullible Indians, lawmakers are working furiously on establishing new guidelines and laws. This is happening fast, because the legal structure in India is complex and changing monthly. Corruption and sharp business practices by a range of suppliers, service providers, and local officials can damage businesses. In short, do your due diligence and avoid shortcuts at all costs. Both a goldmine and a minefield, India is the place to be for big growth and a bright future. CHRIS BOLSOVER is the executive vice president of Strategy India, a consulting firm that assists companies entering Indian and other Asian markets.Strategy India works with local governments in the creation of a stable and growing market. Associates of Strategy India also work with media and law enforcement to prevent or bring to justice the Ponzi schemes that damage the network marketing profession and the innocent people who get involved.